A version of this article was first published in the August 2011 issue of Drinks Business. There are many reasons why producers select particular types of closures, and while quality is always high up the list in the mix of reasons, it’s not always the one that holds sway in the final reckoning. The new world/old world divide is strong on this aspect, as Frank expressed the opposite experience, saying “we are using screwcaps as well as cork stoppers for our wines. We are using cork due to acceptance problems of screwcap in the high price range.” Charta regulations impose no rules on choice of closure. Such market pressure is difficult to resist. “Tapanappa has been bottled exclusively under very expensive and good cork up until 2010” said Brian Croser. But the newer, less expensive, earlier-consumed ‘wines of terroir’ regional wines have been stoppered with screwcap. It’s “mostly commercially driven, responding to what the Australian wine press, the retailers and indoctrinated consumers are demanding” he added. In terms of decision making parameters, Papa said “First is the variety and the style of wine. If it’s sauvignon blanc, I have no doubt and I push screwcap. 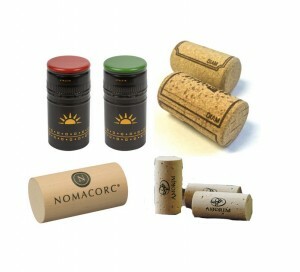 With pinot noir, I’m half and half: medium level pinot noir could work well with screwcap; for high quality I have cork. Then is the country we will mainly sell. And the cost is getting more important. Screwcap is less expensive than natural cork.” But he added “if the market doesn’t accept [a type of closure], I can’t sell.” And he has to sell. 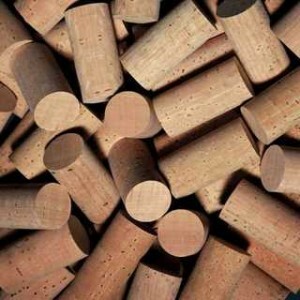 Of his 3 million cases of Casillero del Diablo, which sells in 120 countries, about 75% is cork-stoppered. Further north, the USA market has always been a strong supporter of cork stoppers, and its fervour is undimmed as the latest figures from the Cork Quality Council (CQC) show. They report significant growth in the sales of domestically-produced wines stoppered with cork and selling over US$6/bottle. With 15 months of off trade survey data of the country’s the top 100 domestic premium wine brands in the bank, the latest quarter’s sales, to February 2011, show a 14% increase in sales of wine stoppered with cork, while sales of wines stoppered with synthetics and screwcaps dropped by 13%. I am looking for a natural end plug for a prototype which will stop a silicon tube of an ID of 1/2″. Straight cork. Better if it’s recycled as in cast offs from undeveloped wine lines. Thank you very much. The question no-one considers (but us) is whether there is any way to remove a screwcap from a bottle with the grace and flair of pulling a cork. Good spot Phil. Thanks for raising it. My notes of the conversation at the time record 1%, but around 2000, there were a few people anecdotally citing figures of anywhere between around 5 and 10% TCA contamination, so this may have passed into lore. Maths clearly not my strong point. Now, TCA rates of 1-2% are anecdotally cited.